I didn’t always like egg salad. In fact, I actively did NOT like it. …and then I got pregnant with Milo. 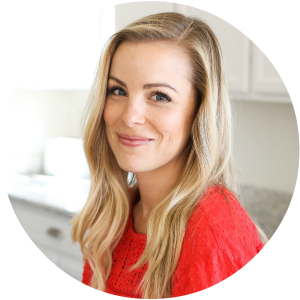 I was nauseated every single day of my pregnancy with Milo from 5 weeks to 39 weeks and 6 days (when Milo was born). It was sometimes a long, looong haul. Totally worth it, but sometimes I wondered if anything would ever taste good again (other than fresh fruit, smoothies, and cereal). One day, while simultaneously trying to lay down and entertain Sophie at the same time, it came to me. From the depths of nausea/morning sickness/death came a bright, shiny thought. A craving I never knew I’d have. Egg salad. 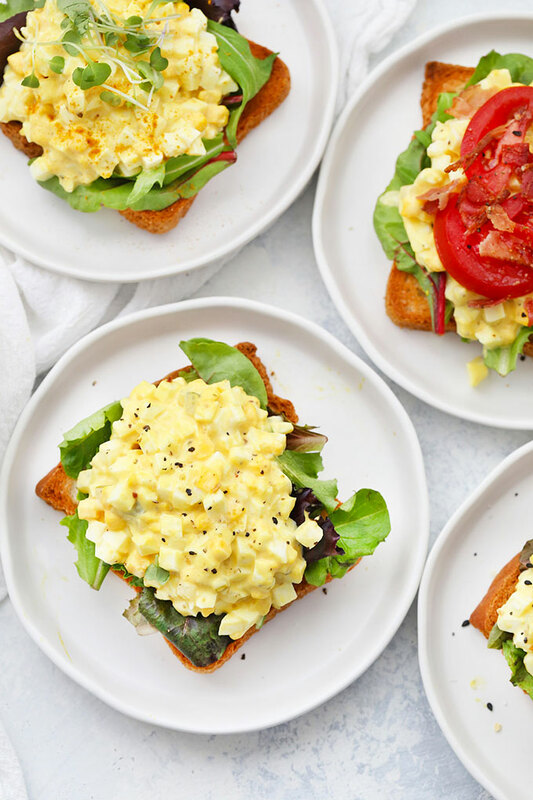 Egg salad is what I should eat right now. 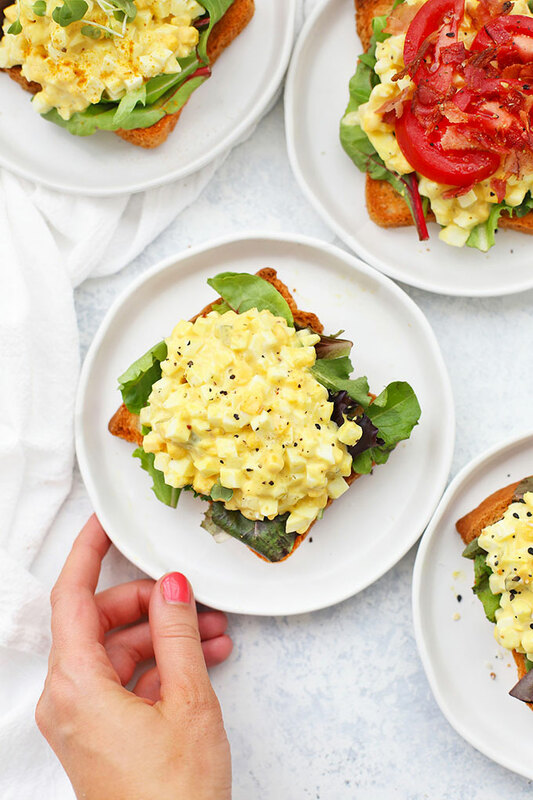 Egg salad is what I NEED to eat right now. WHY IS THERE NEVER ANY EGG SALAD AROUND HERE?! 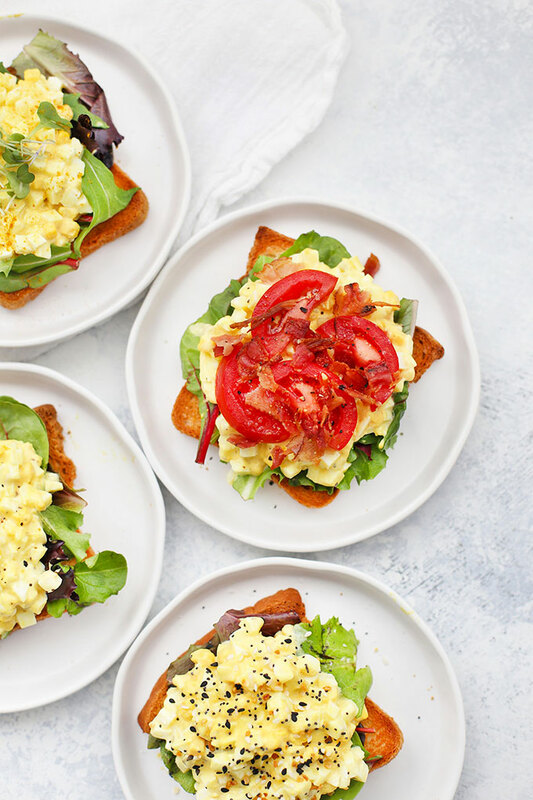 What’s in Classic Egg Salad? MEDIUM OR HARD BOILED EGGS. I actually prefer medium boiled (where the yolk is still sliiiightly soft), but either will do. I swear by steaming your eggs, which I walk you through in this post. They’re easy to peel, easy to make, and perfect every time. MAYO OR VEGANNAISE. Use whatever you keep on hand. My two favorites are avocado oil mayo (like this or this), and Just Mayo veganniase (it’s made from pea protein and has a really neutral flavor). You can even make your own if you’re feeling fancy! MUSTARD. It helps cut the egg/mayo flavor a bit and brighten things up. 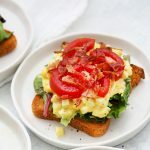 I go for the basic yellow mustard for most of my egg salad recipes, but if you like a bit of kick, Dijon can be a good way to go. A BIT OF BRINE OR ACID. Acid sounds scary, but I mean something acidic. I almost always use pickle brine/pickle juice in mine because it’s delicious and goes with the other flavors. But, you can also get by with a tiny bit of lemon or lime juice (see my variations below where this is great), or a bit of vinegar (cider, rice, or white). I promise that adding a bit of something acidic MAKES the egg salad. 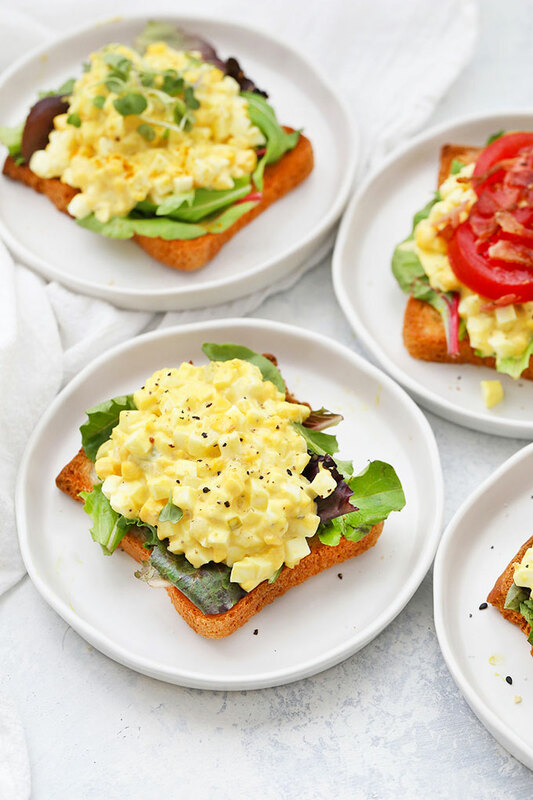 CURRY EGG SALAD. 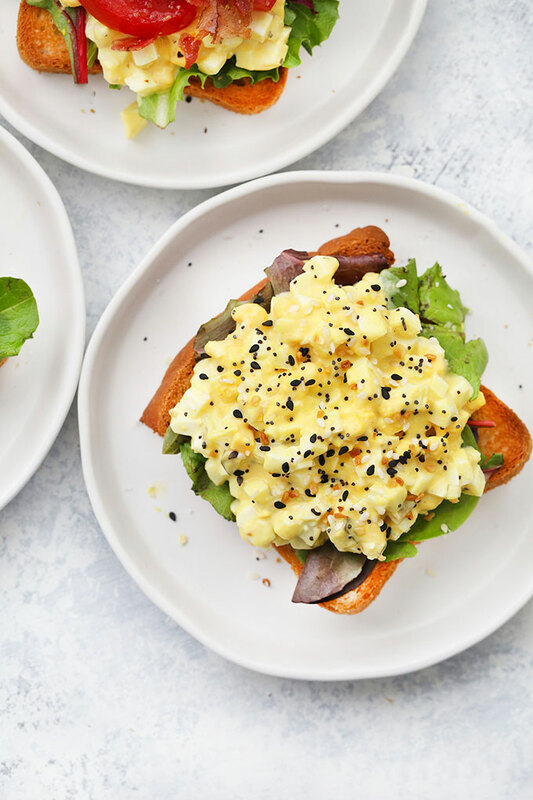 A tiny bit of curry powder makes for a delicious curry egg salad variation. I use lemon juice for the acid, then garnish with some minced cilantro or chives, if I’m feeling fancy. 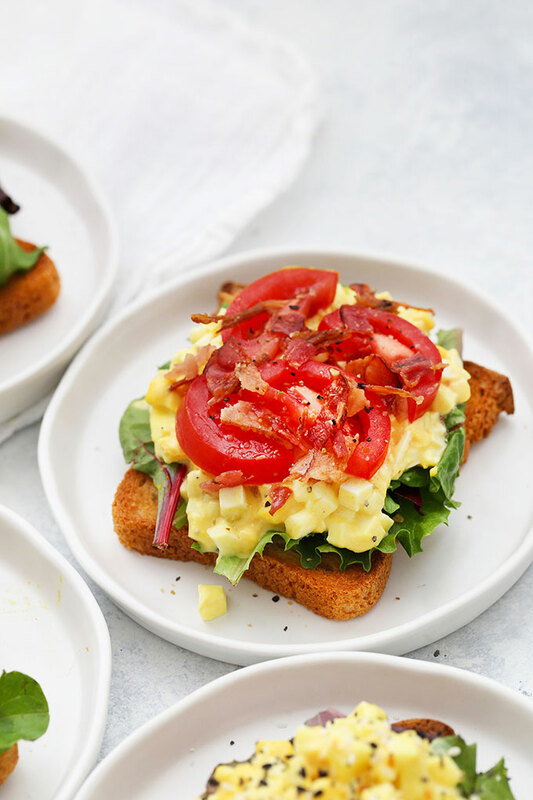 BLT EGG SALAD. This is my favorite. It’s definitely over the top and a little extra, but that’s because it’s topped with all sorts of goodies! I serve the classic on toast with lettuce, crumbled bacon and sliced or diced tomato. It’s DYNAMITE! TRY AN EGG SLICER! I’m usually not a fan of single use kitchen gadgets, but I LOVE having an egg slicer. They’re really inexpensive and great for slicing eggs for chopped salads, or chopping them fine for something like this. Highly recommend. HOW TO MAKE PERFECT HARD BOILED EGGS: I actually steam mine! (Get my tutorial here.) I swear by steaming your eggs. They’re easy to peel and simple to make. (When people like using their Instant Pot for hard boiled eggs, they’re actually just steaming with a pressure cooker. I find that stovetop steaming is easier for me–I’m less likely to overcook them since I don’t have to wait for the steam to release. SHORTCUT: You can sub in dill pickle relish in place of the pickles and pickle brine if that’s more your jam! KICK UP THE FLAVOR – Try adding fresh herbs (chives and dill are two of my favorites), or garnish this with something like paprika, a few dashes of hot sauce, or one of my variation ideas (in the section above or the recipe notes below). Originally posted August 2013. Recipe, post, photo, and video updates added apr 2019. « Our Outdoor Living Space + Article to the Rescue! I LOVE egg salad. But I find it way too labor-intensive (when I want something to eat, I want it NOW, not after an afternoon of boiling eggs, cooling eggs, shelling eggs, mashing eggs…). So it is my husband’s responsibility. Which means it doesn’t happen often, but when it does? Oh, mama. He makes it like a rock star. I cannot imagine ever eating it while pregnant, however. You must have a different type of morning sickness than I did. I don’t ever crave ‘egg salad’. But right about now it’s sounds rather tasty! Hmm, I’ll have to try adding pickle relish the next time I make egg salad! I just made it yesterday though, so that may be awhile. When I was in the States, I liked to add a little pickle juice and it was delicious that way. My go to spices for egg salad are paprika, curry powder, salt, pepper, and mustard. Like this recipe, especially for a smaller amount. I’m the only one in my household that eats egg salad (they all hate boiled eggs period). I’m not a mayo lover, so I greatly reduced the amount. I love dill relish & the juice, it’s the heart of my tuna salad too! Another thing I add is celery, diced fresh, or use celery seed. You can also use celery salt in place of regular salt. Yum! I’ll totally try that celery salt trick next time! Whitney – You made my day!!! Thank you so much for sharing this.